Whilst there are all-new cars aplenty waiting for UK customers there are also some longer serving models; whilst new, they share their designs with older original models going back for many years. In recent months we have looked at and explained the heritage of the new and larger VW Beetle, the hard-core All-American Jeep Wrangler SUV and now we look at the Mitsubishi Shogun seven seater heavyweight 4×4. Mitsubishi Motors has a long heritage of vehicle manufacturing and this year they are celebrating their centenary with their first model and also Japan’s first production car, the aptly named Model A that made its debut in 1917. Their first 4×4 vehicle, the PX33, was launched in 1933 and the brand came to the UK in 1974 selling Colt hatchbacks and Galant saloons. Their famous Shogun 4x4s arrived in 1983. Since then, having been originally a Japanese standalone vehicle manufacturer, Mitsubishi Motors has also had partnerships with Chrysler, Daimler, Renault, Volvo, Fiat, PSA Peugeot-Citroen, Hyundai and Pininfarina. In their latest partnership formed in October 2016 Mitsubishi Motors became one third owned by the Nissan-Renault Alliance. Despite its heritage of building solid and reliable conventional cars, Mitsubishi Motors was the first brand in the UK to introduce a three year unlimited mileage warranty. Mitsubishi is also well known for high performance models, the Starion, 3000GT and perhaps most notably the Lancer Evolution. The Shogun clocked up numerous Paris-Dakar rally wins, while the Lancer saloons of the 1970/80s and later the Lancer Evolutions achieved numerous World Rally titles, and have all combined to give the brand a sporting pedigree. 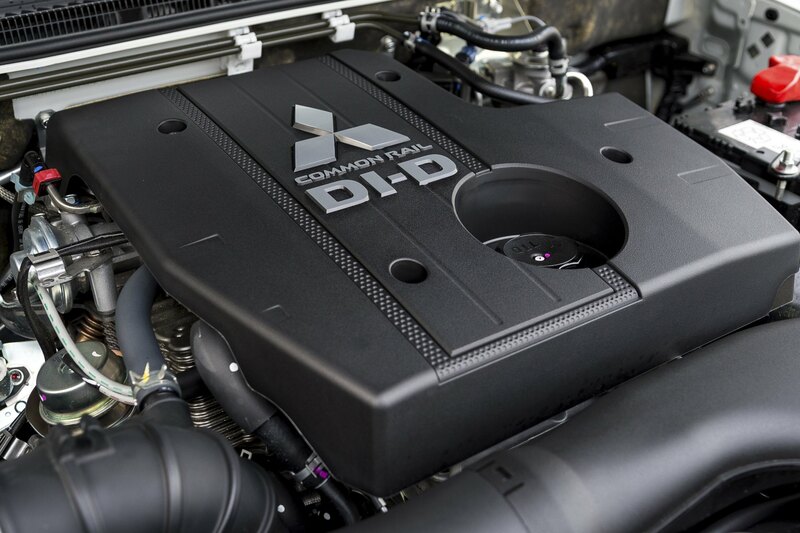 Mitsubishi also invented the first direct injection petrol engine known as GDI in the 1990s, technology which is now widely used throughout the industry. Today in the UK Mitsubishi Motors has just completed 26 years of sponsoring the world’s top three day equestrian event – the Badminton Horse Trials – making it the longest sporting sponsorship in this country. They also sponsor the England and Scotland Rugby teams. It wasn’t until 1983 that Mitsubishi launched their first Shogun, also known as Pajero or Montero in other global markets, in the form of a three door petrol powered range. In 1985 five door seven seat models and diesel engines joined the range. 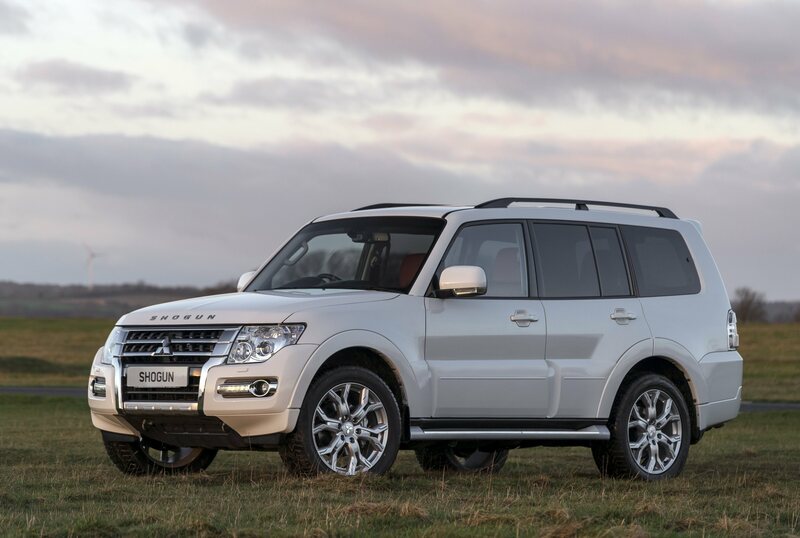 The Shogun range was pitched, in terms of marketing, between the rugged Land Rover and the up-market Range Rover. Its sales success eventually brought about the introduction of the Land Rover Discovery to combat the intrusion by the Shogun, Toyota Land Cruiser and other Japanese high spec, value for money capable large 4x4s. 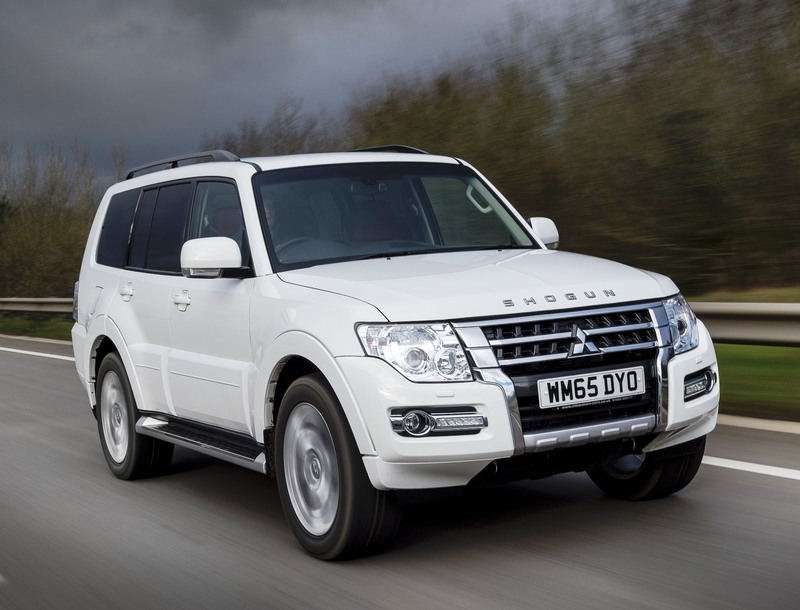 Since then until today there has been a continuous supply of evolving Shogun models but this latest generation of three and five door models could be the last of these heavyweight 4x4s that cover the workhorse to high spec market sectors, and there are even commercial vehicle versions. With the public’s taste for lightweight fuel-efficient SUVs, some with hybrid powertrains, outweighing the requirement for durable heavyweight 4x4s, models like the Shogun are a dying breed. Some of the reduction in demand for heavyweight workhorse SUVs can also be put down to the popularity of five seater double cab pick-ups. And Mitsubishi is a major provider in that sector with their L200 range and the majority of their SUV sales in the UK are for their Outlander PHEV plug-in hybrid SUV 4×4 models. The 2017 model year Shogun range has arrived in UK showrooms with minor changes, most of those are new paintwork choices and some trim and equipment changes. All today’s Shoguns have a 3.2 litre, four cylinder 190 hp turbodiesel engine mated with a five speed automatic gearbox, and all have selectable 2WD/4WD with high and low ratio settings. Three door model on-the-road prices range from £31,389 to £36,939 and commercial vehicle versions, excluding VAT but including the First Year VED costs, range from £26,698 to £31,323. The more popular five door, five seat models with SG2, SG3, SG4 and SG5 spec levels are priced from £33,789 to £42,045 on-the-road which includes the first year £55 registration fee and the first year new £1,700 VED rate. Good news however, with the exception of one variant, is that for both body styles which have CO2 emissions of 238 g/km for the three-door versions and 245 g/km the five door models Standard VED rate for year two onwards is now only £140 whereas prior to this year’s change it was £500 each year after an £885 First Year rate. The top spec Shogun SG5 five door I tested unfortunately attracts the additional £310 annual VED supplement for five years as it exceeds the £40k new car price cap introduced from April this year. There is also a five door commercial vehicle Shogun model which costs £28,698 excluding VAT and the VED rate, like the three door CV models, is £240 every year. I have been fortunate to drive many versions of the Shogun over many years in numerous worldwide locations, Australia, Africa, US, Europe and the UK. I’ve driven them thousands of miles on-road, also on lots of severe off-road journeys, on desert sand, over mountain pass rocks, in the sea and even an amphibious prototype on-water. 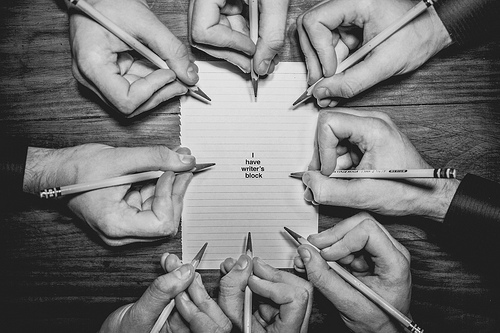 All generation models have been extremely capable, eminently durable and versatile as to their role in life and they will be found being used in all sorts of conditions in most countries of the World. 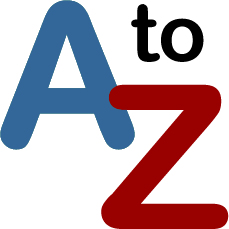 Even today in the UK they are widely used by country dwellers, farmers, contract towing companies, the Police, Highways Agency and the Fire and rescue Services. 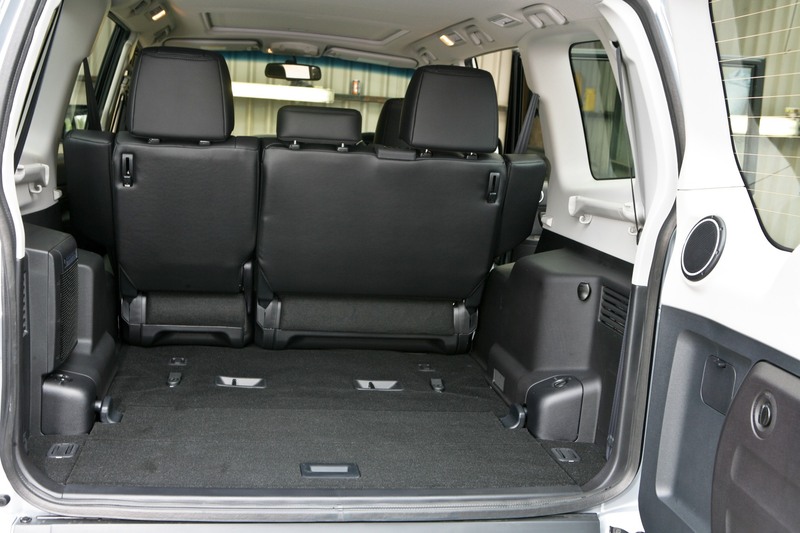 With their big boxy practical shape they can carry heavy loads, with 663 to 1,790 litres (23.4 to 63.2 cu.ft) of load space or up to seven passengers in three rows of seats. The five door models also have a braked towing weight ability of 3,500 kg (7,716 lb), ideal for horseboxes, trailers, caravans and boats. A side hinged load area door and level flat load floor makes loading easy. The rear door is vertical so there is not load capacity lost by having one raked forwards to make it look aerodynamic. This has happened with the new Land Rover Discovery which has gone all up-market and therefore less practical – creating a gap in the heavy weight SUV market for the Shogun. The SG5 spec level Shogun I tried is perhaps too plush for those users wanting it as a workhorse. For instance putting wet dogs or muddy equipment in the rear is not going to be an ideal situation but the space is there. Up front the SG5 version is fully equipped with a high level of specification including leather and faux leather trim. It even has heated second row seats as well as heating outlets. Up front the seats are heated and electrically adjusted for height and reach. There is the usual on board computer, central touchscreen and various connectivity functions and an excellent DAB radio and sound system. Some functions look dated and are slow to react and the latest Shogun does show its age but it is still a good honest vehicle well able to cope with the rough and smooth requirements of family or work life with plenty of interior space. The 3.2 litre four cylinder diesel engine is certainly not the most modern available in this sector. It can be noisy and the five speed automatic gearbox is definitely from a bygone age compared to the latest large 4x4s. 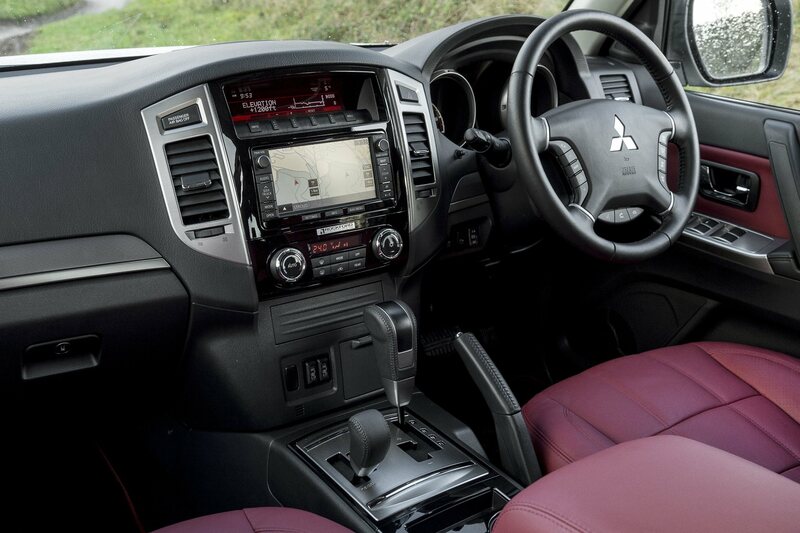 Whereas these latest vehicles have rotary dials or push buttons to engage various driving modes the Shogun still has a lever to select 2WD High, 4WD High, 4WD High Locked and 4WD Low Locked drivetrain modes. Unlike the computer controlled dial-in modes from more modern all-terrain vehicles the Shogun’s system is definitely a ‘hands-on’ affair. With 190 hp, but more importantly 441 Nm (325 lb.ft) of torque from 2,000 rpm, the clattery diesel engine is responsive but a more modern automatic gearbox with swifter and smoother gearchanges and more fuel saving ratios would be an improvement in both performance and fuel economy. Top speed is 112 mph, not fast by modern standards but who realistically needs that sort of speed? It will cruise all day at 70 mph on motorways at just over 1,800 rpm and the zero to 62 mph acceleration time is 11.1 seconds, again not helped by the slow-changing auto gearbox. Fuel economy isn’t great either. The official Combined Cycle figure is 30.4 mpg and during my week of test driving over a variety of roads including motorways the figure was 25.9 mpg overall. With high CO2 emissions of 245 g/km, VED road tax is £1,700 First Year rate reducing to £140 for subsequent years BUT as this spec level exceeds £40K there is the added cost added VED £310 a year costs for five years. The answer is simple – buy a sub-£40k variant with all the same capabilities, engine and 4×4 abilities but marginally less posh-spec. As it’s a genuine hard-core 4×4 the Shogun five door has long travel coil spring suspension. Whilst the dampers mop up impacts from potholes giving a compliant ride on or off-road the tall vehicle does have bodyroll during cornering, and given its size and weight it’s a bit of a ‘handful’ travelling on winding country roads. Its impressive off-road performance does compromise the on-road abilities compared to the latest Land Rover Defender that manages off and on-road travel without any handling compromises. Of course other large 4×4 SUV types such as the Audi Q7 and BMW X5/X6 have the sharpest on-road handling but are not that capable in muddy conditions away from the tarmac. 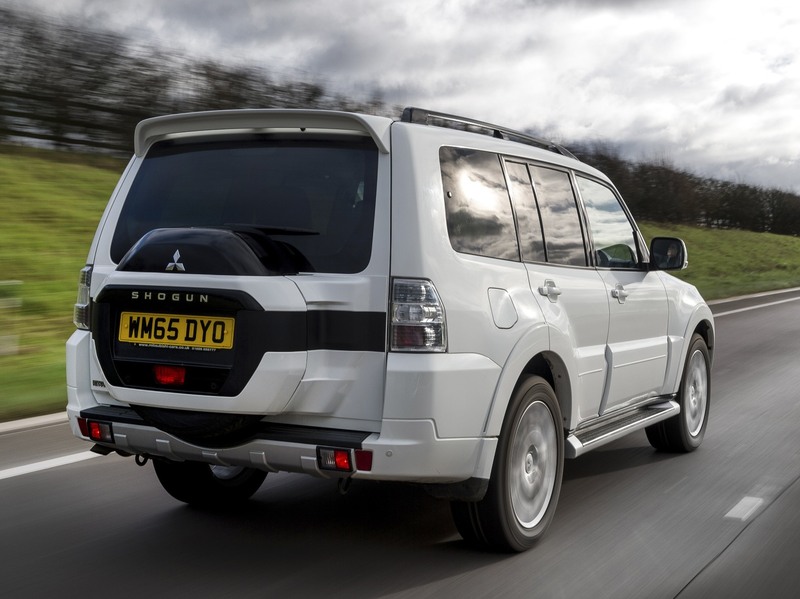 The Mitsubishi Shogun still retains a loyal following of owners in the UK but its appeal is lessening because our requirements for 4x4s have become more sophisticated. That isn’t the same in other parts of the world though where rugged and durable large SUVs are a necessity rather than fashion or wealth statement. Tough, practical and very capable. 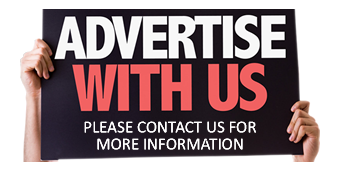 For: High specification, strong durable roomy versatile vehicle, impressive off road performance, excellent vehicle for towing. Against: Off-road abilities compromises its on-road handling, slow changing auto gearbox, expensive to run with high tax costs, SG5 variant incurs the new £310 extra VED tax for 5-years as it’s over £40k. 2017 Mitsubishi Shogun LWB SG5 3.2 DID Diesel Auto 4×4. Engine/transmission: 3.2 litre, four cylinder direct injection turbodiesel, 190 hp, 441 Nm (325 lb.ft) of torque from 2,000 rpm, five speed auto with high/low/lock transfer box, on demand 4×4. Performance: 112 mph, 0-62 mph 11.1 seconds. Fuel consumption: Combined Cycle 30.4 mpg (25.9 mpg on test). Emissions and taxation: CO2 245 g/km, VED road tax £1,700 First Year rate then £140 Standard rate + £310 for five years as it costs over £40k, BiK company car tax 37%. Dimensions/capacities: L 4,900 mm (16.08 ft), W 1,875 mm (6.15 ft), H 1,900 mm (6.23 ft), kerb weight 2,300 kg (5,071 lb), braked towing weight 3,500 kg (7,716 lb), boot/load area 663 to 1,790 litres (23.4 to 63.2 cu.ft), five doors/seven seats.